When my kids were little, my mother-in-law would prepare this cake anytime she knew my kids were coming over. 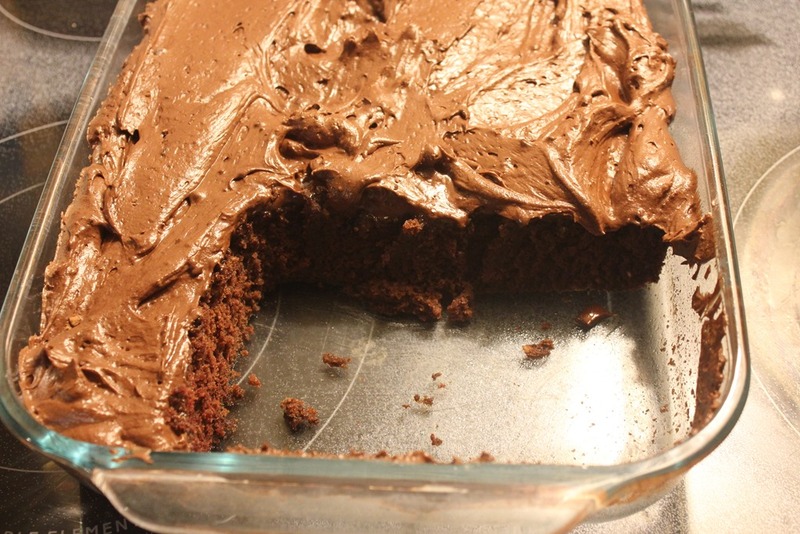 It is super easy and very moist. This is my kid’s favorite cake. My mother-in-law described this cake as “the cake you make when you don’t have many ingredients”, because you don’t need milk or eggs to whip it up. All you need to make this moist, rich cake is cupboard ingredients. 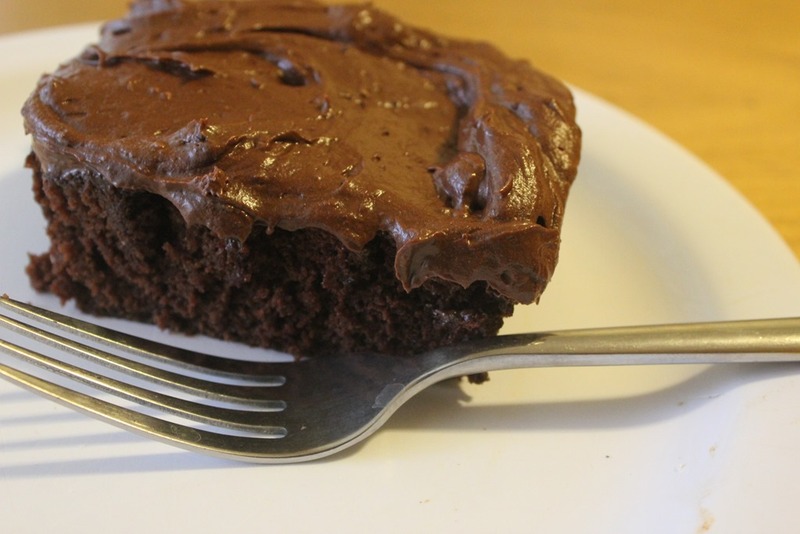 There are several variations to this cake, but this is my favorite recipe. This cake also goes by the name “Crazy Cake”. Most of the recipes I’ve seen will tell you to make 3 little holes in the dry ingredients to keep the soda, salt, and vinegar separated until you add the oil and water. I never do this and it doesn’t seem to make a difference in how the cake taste. I just put all the ingredients in a large mixing bowl in the order given and mix it till smooth and creamy. I bake it at 325 degrees in a greased and floured cake pan until its done. I don’t know how long. I just take it out when it’s done. My kids prefer chocolate frosting on their Wacky Cake. 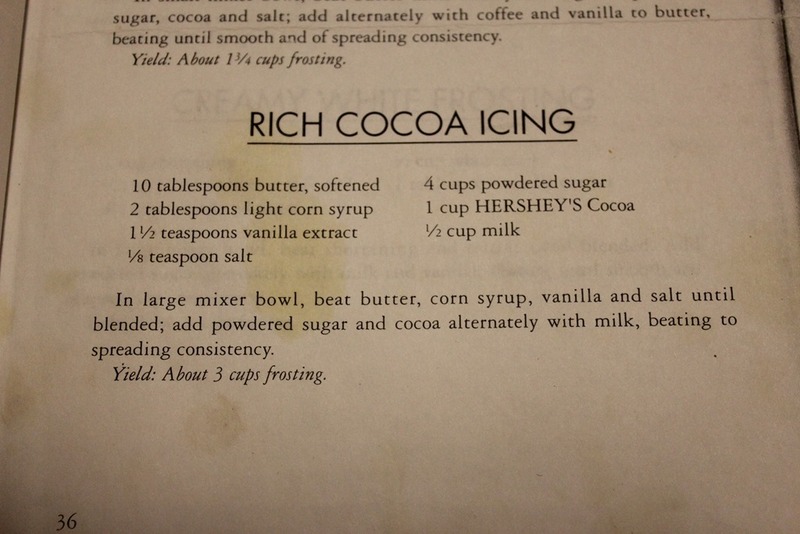 Below is my favorite recipe for chocolate frosting. If you’re craving chocolate, this cake won’t disappoint, especially if you top it with this frosting. This entry was posted in Food and tagged cooking, dessert, food, recipes. Bookmark the permalink.